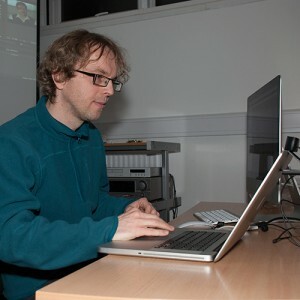 This month’s meeting successfully piloted the use of Adobe Connect, enabling some volunteers to watch and interact with the meeting over the Internet. We are planning to make this a regular feature of future meetings. 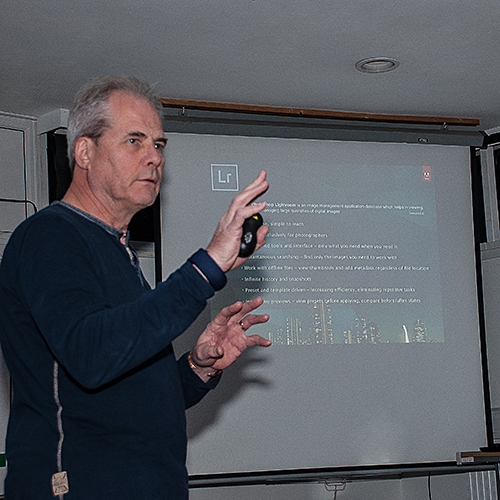 Glenn talked about the origins and uses of Photoshop, Bridge and Lightroom; particularly showing the large number of file types that Bridge can display. He went on to discuss the various licencing options for Photoshop and Lightroom, in particular the Photoshop Photography Program that is currently on offer at Adobe (follow the link for details). He gave a quick demonstration of his own workflow for his photography through Lightroom, showing how he uses camera raw to shoot his images and then processes them in Lightroom. Glenn demonstrated the benefits of Bridge to display many different file types on the screen at once; with a PDF, a video and a jpg all visible. As a designer he then opened the jpg to edit in Photoshop and proceeded to add text as if creating artwork for a client. In conclusion, Glenn, working as a web developer used Photoshop to open an image, crop to a defined aspect ratio and resized for the web. Finally adding a degree of image sharpening with an unsharp mask. Glenn mentioned the Adobe Generation (click on the link for details) series of free online courses designed for young people with a passion for creativity. There are five courses to choose from including; Photo Imaging, Animation, Video, Game and App Design and these will take place consecutively, from November 2013 through to June 2014. A tremendous opportunity for young people and teachers. 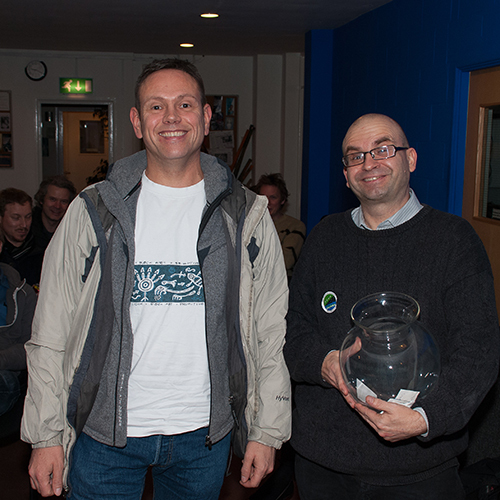 Winner of the Digital Creatives Oxford free raffle for a one-year subscription to Creative Cloud was Guy Henstock. Richard and Dariusz looked at the new releases on Premiere and After Effects that came out at the end of October 2013. Richard looked at the new link between Premiere and Speedgrade – including how to tweek the pre-set “lumetri looks” colour effects that come in Premiere in Speedgrade, and then reopen those tweeked images back in Premiere to continue editing. 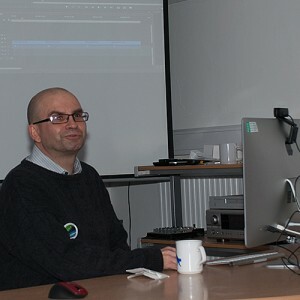 He also looked at some other new features including timecode monitor overlays, sequence previews, new “insert still image” options, and more export options in media encoder. Dariusz looked particularly at the improved “detail preserving” video up-scaling functions in After Effects, so archive footage in older formats and resolutions (like VHS or miniDV) can be upscaled to HD or 4k, particularly useful for documentaries using archive footage. 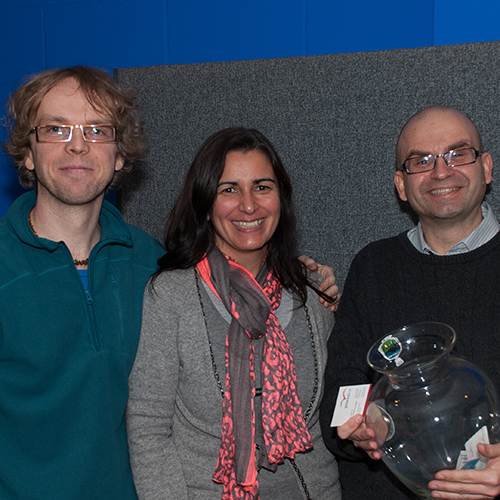 He also looked at other improvements including quicker “warp stabilisation” – digitally removing camera wobble! Winner of the Premiere and Pro free raffle for a one-year subscription to Creative Cloud was Karina Capitman.